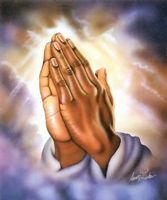 May we together pray God's people will lose weight naturally, and keep it off and look like You. May we be healthy and prosperous. Anything else You want prayer for also may we pray. Amen.